ISS is running a series of unique motor-sport events around the UK to mark the opening of the order book for its latest innovation – Reaclear – a revolutionary device designed to prevent reversing accidents. On Thursday 8 February ISS is taking over Dunsfold Aerodrome in Surrey, home to TV’s Top Gear and a well-known sporting venue. Invite-only guests will be able to test our Reaclear for themselves, along with other market-leading ISS products such as the RX3 camera recording system and reverse radar. There will also be the opportunity to take a spin around the famous circuit with a range of cars available to test drive. Reaclear is a preventative device, designed to eliminate the reversing accidents that plague the waste and recycling sector. 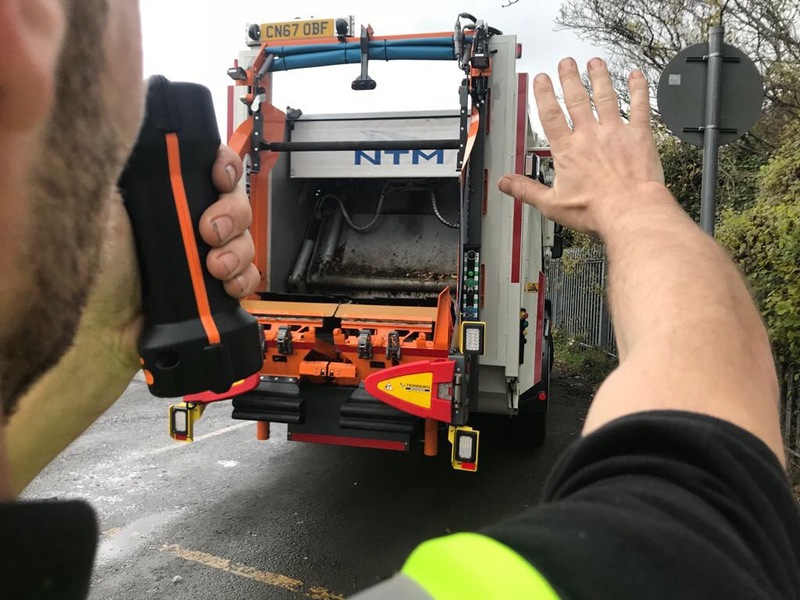 It has been designed to work with the driver and reversing assistant who carries a hand-held device with an integrated two-way Push To Talk (PTT) communications feature. Once it is safe to manoeuvre the reversing assistant presses the transmit button and this lets the driver know it is safe to reverse. In the event the vehicle is reversed without first receiving the signal an alarm sounds in the cab along with flashing lights. A message is also sent to the transport office to determine if further action is required. One of the world’s leading public service providers Serco is already trialling Reaclear on three vehicles with a view to installing the equipment to more of its vehicles operating in London.